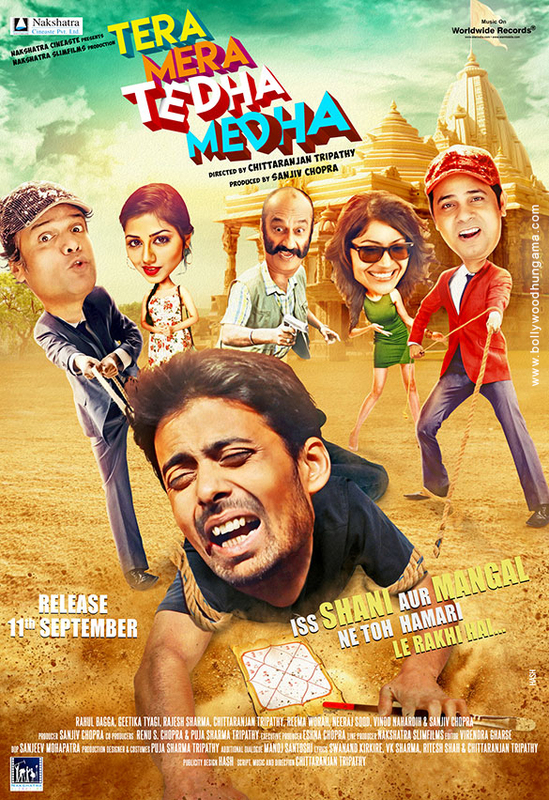 TERA MERA TEDHA MEDHA is quirky-topsy-turvy romantic comedy influenced by Planetary Disposition. It is a love story of two young struggling painters, the Rajan (Rahul Bagga) & Kamini (Geetika Tyagi), intertwined with the affect of two powerful planets Shani (Rajesh Sharma) and Mangal (Chittaranjan). Hilarious events erupt when jilted lover, young and vivacious Swati (Reema Worah), enters Rajan's life. What would Shani-Mangal do next?